SKU: WS266-9X12. Categories: Funny Pet Signs, Pet Signs. 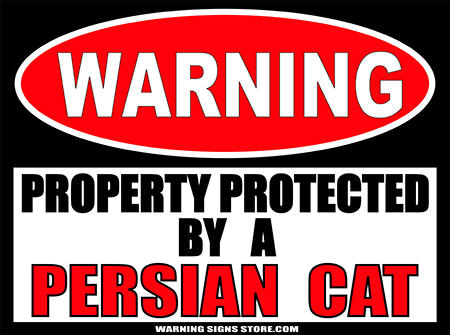 Tags: Persian Cat, Warning Signs. The Persian is the most popular breed of pedigree cats in the United States. They’re very mellow cats and very suited for apartment living. They don’t do a lot of climbing but will happily sit in your lap and purr while you sit with your feet up, watching the evening news and dutifully combing their long hair. 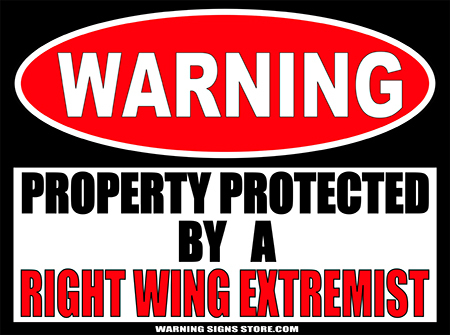 This Property Protected by Persian Cat sticker measures out to approximately 9″ x 12″. It is printed in a glossy finish with eco-friendly inks on a premium vinyl polymer. Our inks are UV resistant and designed to last 7-10 years, indoors or out.